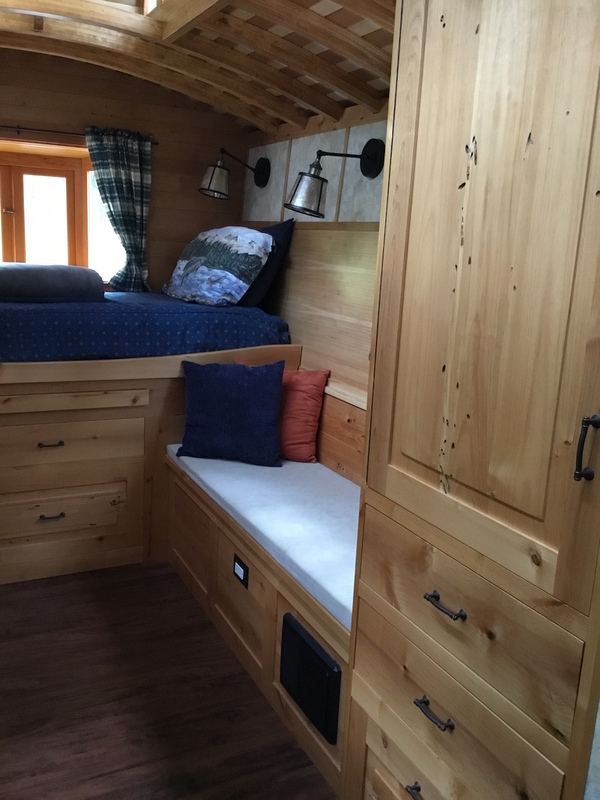 I built this Vardo for my son to live in when he goes to college. 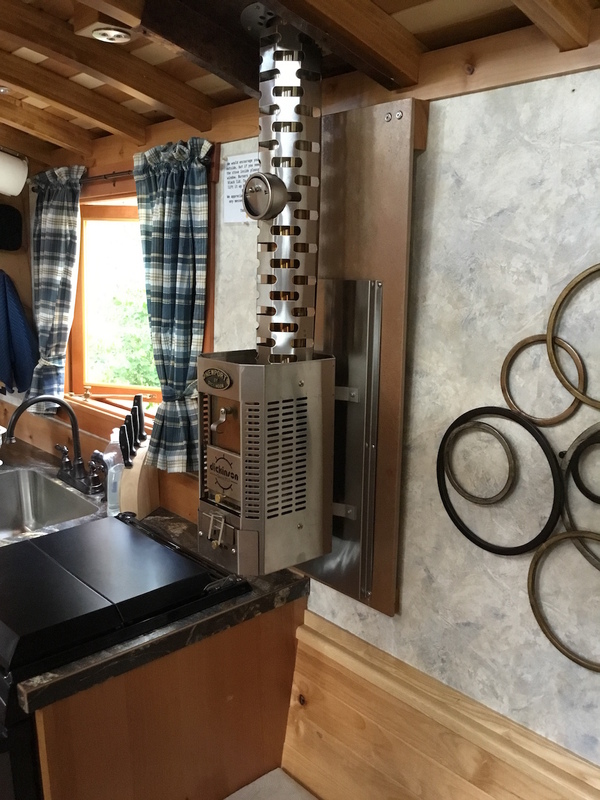 Pull,out queen bed, composting toilet and shower, 30 gal water storage, propane stove, oven, on demand hot water, solar panel and inverter, wood stove. 16 feet long. 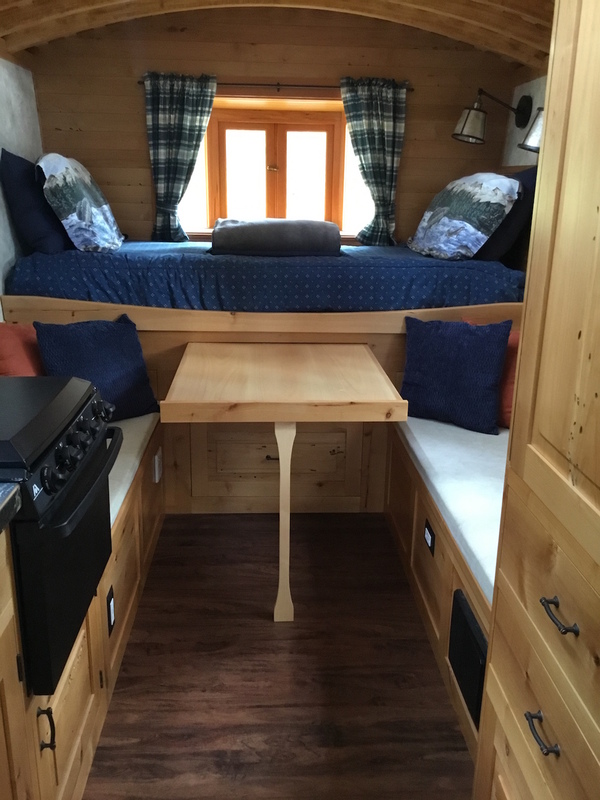 Vardo-style tiny house built for college student with outdoor living space. For more info. on one for yourself email Andrew. Perfect. I wish we could see where the shower is stowed — thanks for sharing. 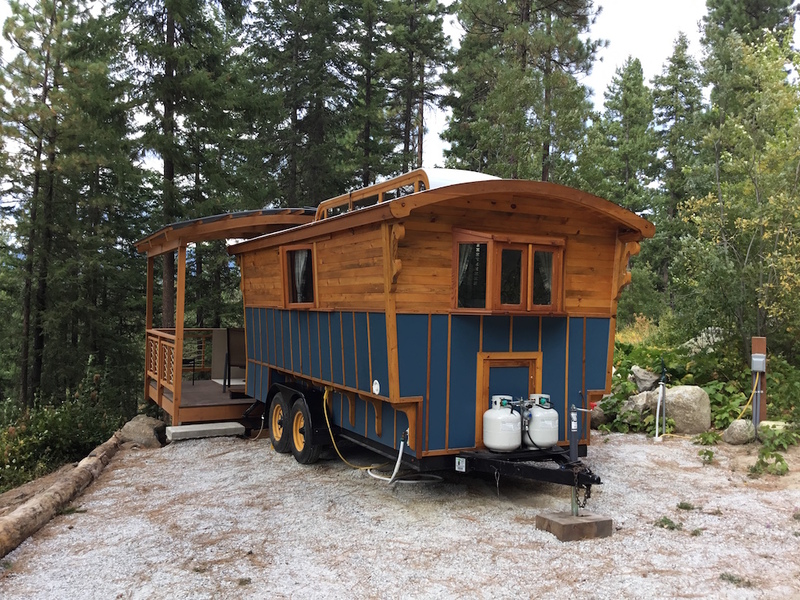 Andrew told me: Bathroom is on the right as you walk in the door it’s 24″ x 48″ on the floor with composting toilet and shower. Total weight is 4200 lb fully loaded for a camping trip. Beautiful. Where’s the toilet and shower? Lucky son. It is beautiful, all the details are well done. Bathrooms are overrated. Very nice!! And no, bathrooms aren’t overrated!! Especially in the winter! Wonderful design…..beautiful craftsmanship. One can see it was made with thoughtfulness and love. My compliments. Wow! Very lucky son:) Beautiful work. This is really gorgeous! Is that outdoor space portable? Love this! So would my college-age sons 🙂 Thank you for sharing your pictures. Very cool digs, for any age. 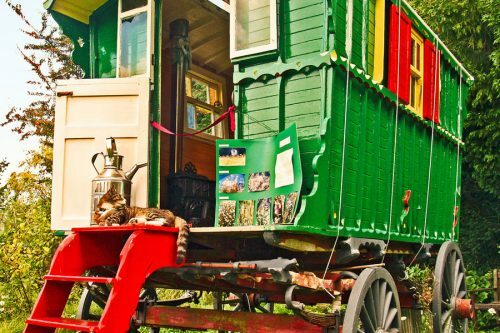 I’ve just decided one room with equal outside patio/porch is perfect for a budding vagabond. That’s after leaving a 3 BD Airbnb home of 23 years. 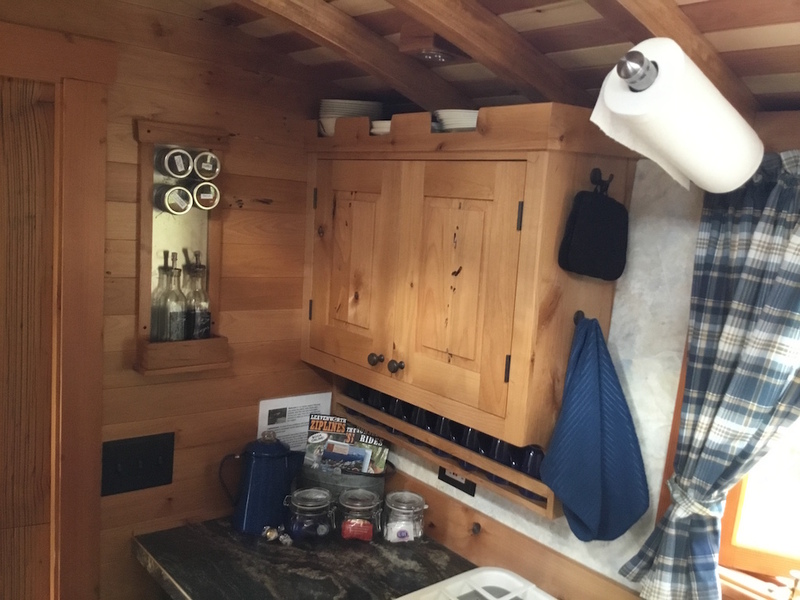 Tiny kitchen, tiny bath, large living in open spaces. Congratulations! 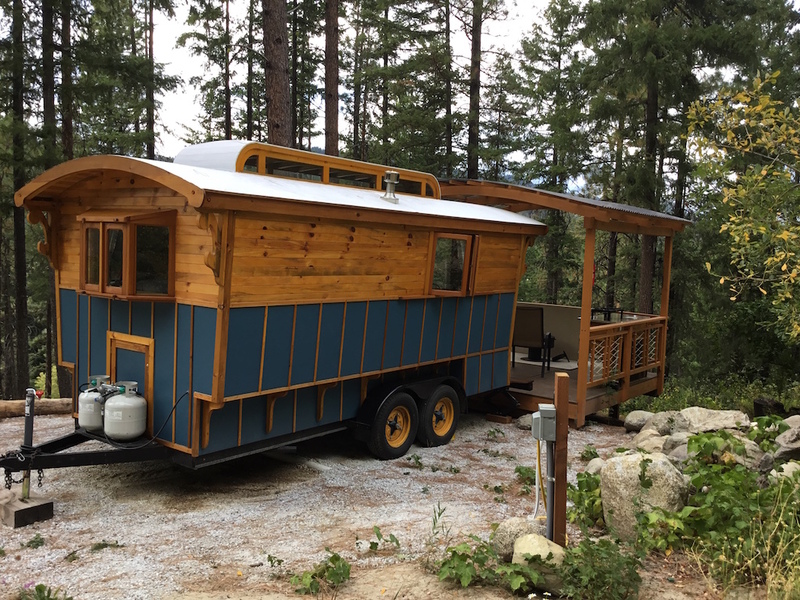 this goes in my research file for tiny homes. What a wonderful gift to your son! Clearly made with love. 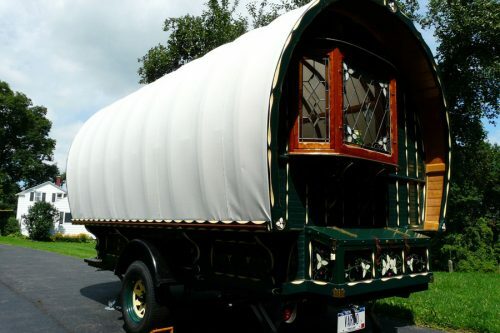 Excellent design with all the necessary comforts. Wonderful pictures but would love to see the bathroom too! Looks like it would have been a little pricey but I guess that’s all relative. You are a wonderful dad. 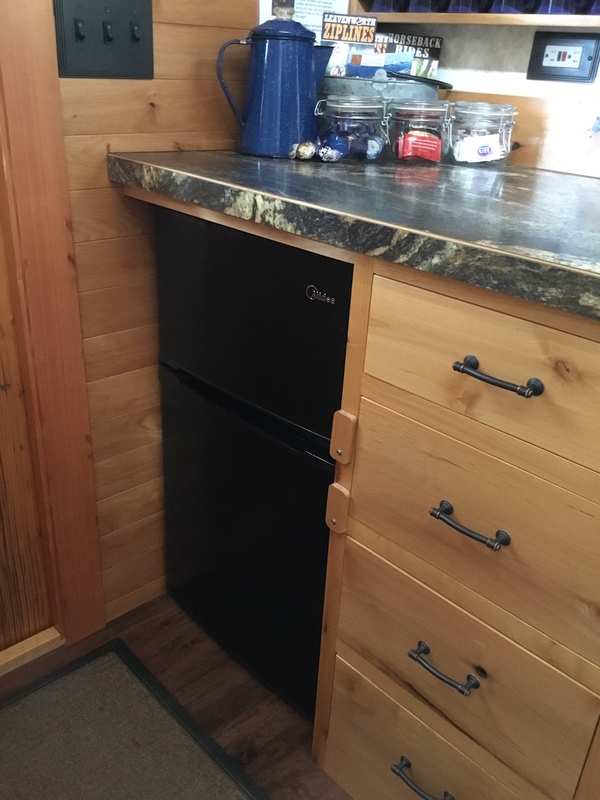 Is it possible to get the plans as well as a list of all the appliance’s? Unfortunately I do not have plans as I just build them out of my head as I go.